The idea is that when the keys you're going for are blown up, you're more likely to hit them and avoid both misspellings and autocorrect fails. 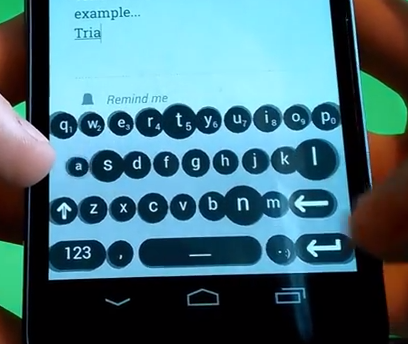 Dynamic Keyboard looks very smooth in the video. Those bouncing animations are neat, but perhaps a little distracting in use. Dynamic Keyboard will come with a huge number of settings, languages, and themes at launch. It should work on both phones and tablets. The developer also goes out of his way to show the keyboard has no extraneous permissions.